If you value your fitness clothes highly, you shouldn´t just choose clothes that follow the latest trends, but also clothing that includes the latest functional technologies. Obviously you want to look good while you´re training and turn a few heads if you can, but nevertheless, training gear shouldn´t only look good, it should fit perfectly and offer great freedom of movement! The most important things during training are comfort and complete freedom of movement. If you do a lot of outdoor sport then you should most definitely choose fitness clothes made out of breathable material, because only when you feel completely comfortable in your clothes can you give it your all and reach all your goals! Choose fitness clothing that suits your tastes, in Keller Sports you can find everything you need and want. Apart from the Keller Sports Product Matching Engine KSPME ®, you can also get great advice from our experts if you have questions regarding fitness clothes. Here at Keller Sports you can get bargain fitness clothing delivered straight to your door at a great price, and also great service throughout the online shop! You´re well kitted out if you have breathable fitness clothing. If you break into a sweat during a workout, the breathable materials will make sure the perspiration is drawn away from your skin to keep you feeling dry and fresh. Like this the body remains dry and perspiration-free, so you stay at exactly the right temperature, this means that you´ve got much less of a chance of getting a cold! Perspiration marks also belong to the past if you´re wearing breathable synthetic material instead of cotton. Cotton is of course very comfortable to wear but unfortunately it absorbs moisture instead of expelling it, so the more perspiration you produce, the heavier your cotton T-Shirt becomes. In any case, your fitness clothes should always provide great freedom of movement: a tight-fitting t-shirt should never rub your skin! If you have to worry about your long pants falling down during training, you simply can´t give it your all! When choosing fitness clothes you should always make sure you choose clothing that fits perfectly and provides freedom of movement so you are not hindered during training. If you practice Zumba or aerobics, short or ¾ length pants and a T-Shirt or top made out of breathable material should usually be enough to kit you out. For outdoor sports during cooler days you should go for the layered-look: make sure any clothes that touch your skin directly, like underwear, is made out of breathable material, and any clothes you wear as extra layers should be chosen according to the weather and temperature. If it´s cold, the various micro perforations in breathable fabrics will make sure you stay warm and comfortable. In any case, choosing the right underwear is always very important; the fabric should draw the moisture away from the skin. For women we recommend sports bras that provide breathability, support and freedom of movement. At Keller Sports you will find a range of sports bras for all women, no matter whether you need light, medium or heavy support, and of course all the bras provide great moisture management. Many manufacturers have also developed bras made out of fabric especially designed for the summer months which eliminate perspiration and cool the skin. If you practice sports outdoors then you will benefit from fitness clothing that is made with UV-protecting material to avoid sunburn. Have a look around the fitness clothing section in our online shop and let our experts advise you! In the Keller Sports fitness clothing range you´ll find everything for your particular sport. With help from our team of expert consultants you will get together the perfect fitness kit for your next workout. 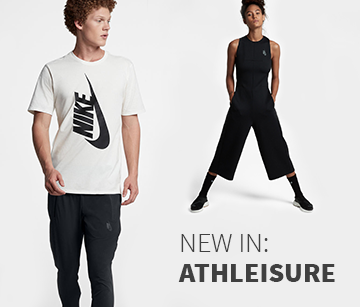 In the fitness clothes department you can find everything from the newest creations of your favourite brands to older models at greatly reduced prices.